Italkwithspirits - What happens AFTER we die? 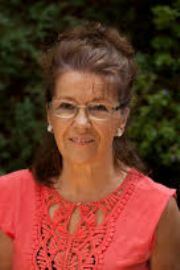 Hailed as ‘The Afterlife French Lady’ by my readers and audiences, I have created this site to help those ‘seeking the truth’ about the Afterlife, by sharing with you what I have discovered. My name is Brigitte Rix. For over 30 years, I have investigated the ‘paranormal’ and realised it was in fact ‘normal’! It’s just a question of developing your own sixth sense to discover your innate spiritual skills. 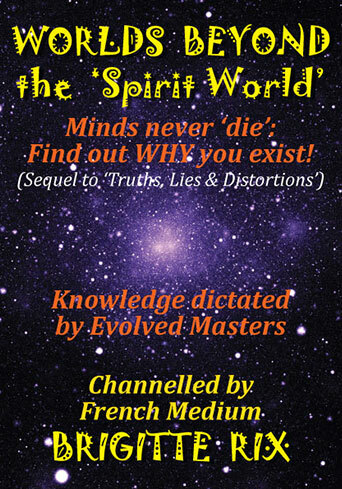 This EDUCATIONAL website freely provides fascinating information that has been ‘channelled’ through me, by people from the wave lengths of the ‘Spirit World’ but also by Evolved Beings BEYOND those frequencies. 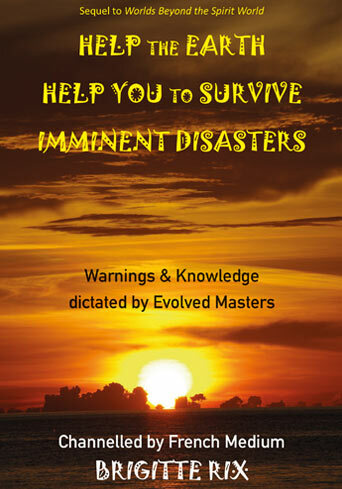 It also showcases (SCROLL here below) the first books I have published, of many volumes to come, that have been dictated to me, by these Spirit authors. My gallery displays photos of some of the wonderful people who lived on Earth, before they passed on and went ‘home’ to the Spirit World, and became the contributing authors of some of my books. 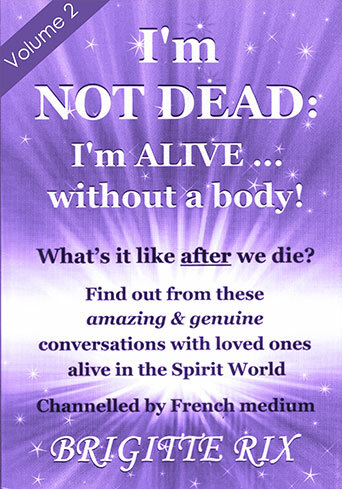 I hope their words uplift and console you, and go beyond proving that there is Life after ‘death’. 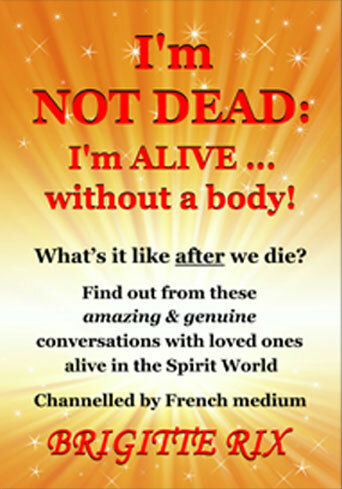 Read more about the I'm NOT DEAD I'm ALIVE Book Vol1... Click here to Buy the Book now!